Pam and I met back when we were about 11 years old - those awkward middle school tween days when you're no longer a kid and not yet a young adult. We made up silly dances, crushed on boys, and screamed our cheerleader butts of on the sidelines of the football field. She was always bubbly, energetic and fun, and it's amazing how at our core we don't really change. 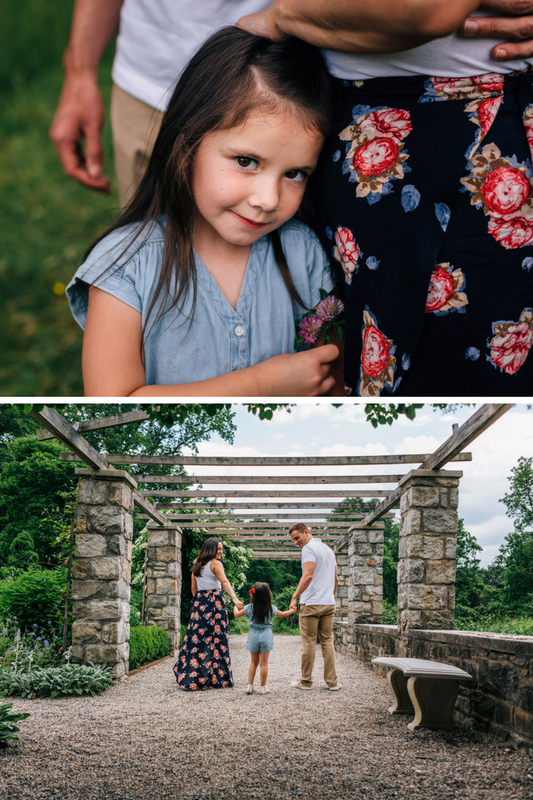 Meeting up with her many years later for a family session, and now as a mom, it was great to see that she still has that fun and energetic girl in her, and has passed it down to her sweet daughter, Bella, who was an absolute little light. We met up at Fort Stamford, a beautiful little gem of a garden that many people don't even know about. I didn't know it existed until last year, which is crazy because I grew up just a few miles away! In any event, this gorgeous little garden is teeming with blossoming flowers and a trellis and patio perfect for an summer evening picnic. 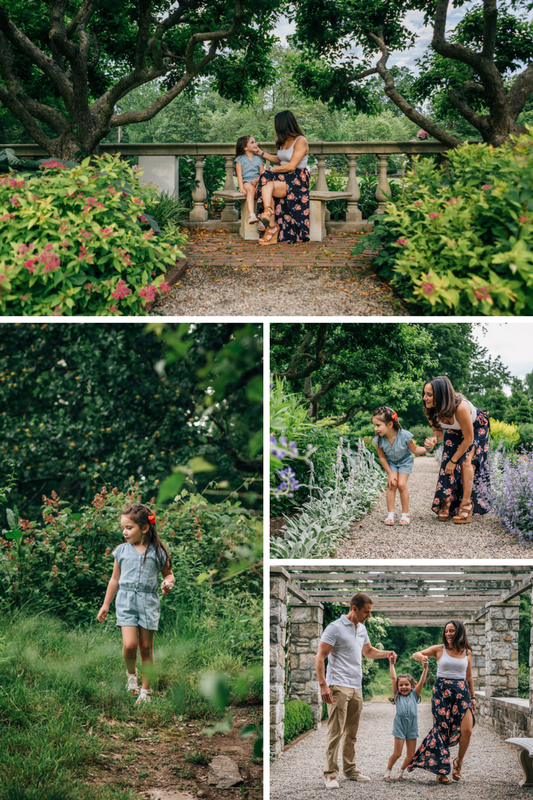 We had so much fun walking through the garden, exploring all of the different plants, chasing little rabbits and chipmunks, and running through the tall fields of grass behind. It was one of those sessions where the experience itself was so enjoyable, that the camera was just along for the ride. And those are the one's I love best because its where I capture the moments that are truly authentic, heartfelt and timeless.